I just got back from installing a lab/recording studio at a crazy, crazy high school in Georgia. The recording studio was installed by a studio specialist, and he did an especially nice job. This school teaches Music Technology RIGHT, and it’s inspiring to see it done this well both in equipment and in instruction. Check out their site, and their super-cool teacher Mr. Michael Appelbaum at their Music Tech dept. website. Zomg. How did they get so much funding?! I didn’t ask, but it felt like a grant/one-time upgrade. I doubt they do this every year! The cool part is that the curriculum is totally project based, and they release two albums of student-produced music each year. The teacher gets it, and executes it perfectly. I designed the lab and studio for GSMST. This was part of a brand new building the are opening in the Spring. The county is extremely supportive of Music Technology. In fact, every high school (17 total) has a 16 station SoundTree music technology lab with Korg synthesizers, Korg GEC3 Lab Controller, full software suite and Apple computers. 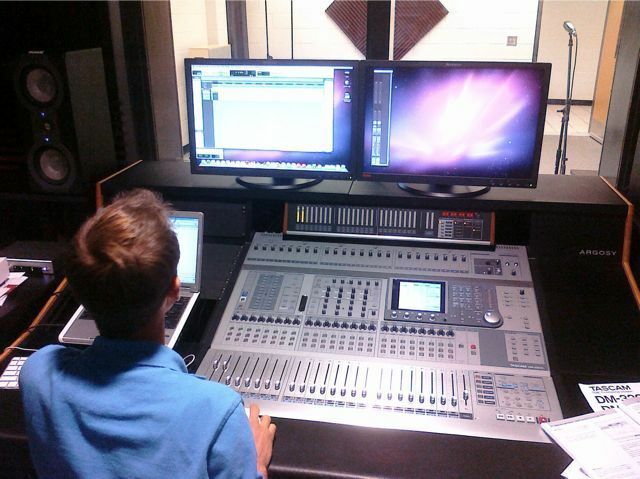 2 high schools (including this one) feature a ProTools recording studio. Jody – you’re not kidding. Gwinnett means business when it comes to music tech. The labs are amazing, thanks in no small part to your design – I always enjoy installing Jody labs! As a student as GSMST who is currently in the music tech program, I must say… THE MUISIC TECH LAB IS BY FAR, THE COOLEST PLACE IN THE SCHOOL! I love it!